Reached the 5 month mark of my hair journey. I think hings are progressing along very nicely . As with some of the other guys on here, trying not to run to the mirror every minute like I used to. It aint gonna make it grow any quicker.) So now its every second minute.)) Taught myself a new trick. Now I take a picture and zoom it right in and stair at it for hours.) Oi! After fixing the hair on my head Im gonna need glasses next.) Just clippered it so it looked alot thicker before I cut it, but things are coming along very well! All opinions welcome. I look forward to them, as for me anyway its the best way to judge how my progress is going. » Are you sure you’re only 5 months?? You look like you are done already!! Thanks for the kind words. Makes run to the mirror less. My procedure was on the 2nd of April. So technically a little more than 5 months. I just post on the 1st of each month usually. Have you seen Burberrys at 3 months? No matter what rate of growth, I really think for all us guys playing the 18 month waiting game it will always seem our hair isnt growing fast enough. Just human nature I guess. I have been following your progress, do you know what density Armani gave you for the hairline? From what I can see from your journal, you practically lowered your hairline by at least 1 inch, correct? » practically lowered your hairline by at least 1 inch, correct? I am sure it’s typical Armani dense packing, it probably about 70 grafts per cm2. Regarding lowering, I think about a finger width from the middle peak then straightishly left and right to the temples where I guess yes it was around an inch on average. A little more in some areas and less as you head towards the peak. You have good growth at 5 month , how is your donor? 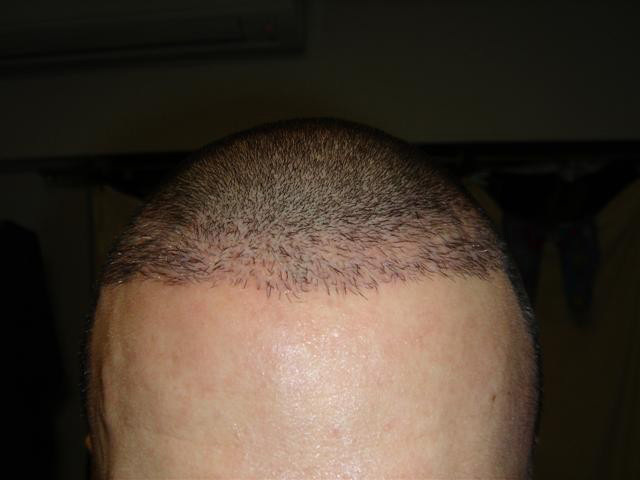 Do you notice that it is a lot thinner after 3000 grafts or more or less the same? Those results are looking great! I also had really good results at 5 months from my FUE with Dr.Armani. Can’t wait to see the progress. » from my FUE with Dr.Armani. Can’t wait to see the progress. ash-p, how s your donor? how many grafts did you have? Great results man! Just wait until you hit the 1 year mark. I am looking forward to getting my FUE procedure. I will continue to watch your progress. ash_p: You have had great results as well. How long ago did you have your procedures? Hey jp33, thanks! Yes I have been very happy with my results. I had my last surgery last year. I am going for another FUE procedure with Dr.Armani next month. Will post pics! » next month. Will post pics! ash_p, that is awesome! I look forward to seeing the results from your next FUE. I am going to have another procedure in the near future as well. Wow! Just looked at your journal ash_p. What a fantastic before and after transformation. I will be ecstatic to get such results once all my time waiting for growth has passed. Definitely undetectable from my eyes youve had work done. » is a lot thinner after 3000 grafts or more or less the same? Hows my donor area. Well I defitely wouldnt say anyone who gets 3k or more amounts of hair grafts will look more or less the same. But I guess it depends how someone wears their hair. 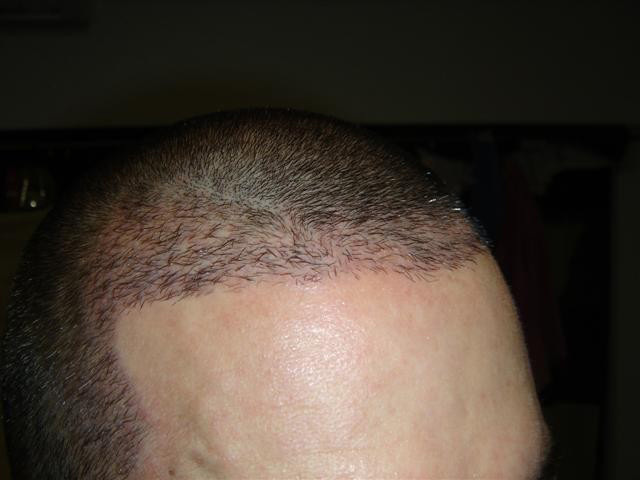 Im a little disappointed that yes it is noticeable that I have had fue in certain areas, but only when I buzz cut without any attachments, so I guess about 1mm length, where you can see my scalp. I was hoping it wouldnt be noticeable, and maybe with a tan it wouldnt be so noticable. But I dont go out in the sun much ever since I trade markets through my night and sleep through the day. At 3mm its long enough for it not to be noticeable to anyone I know apart from my wife who is the only one that knows Ive had a procedure. It doesnt look like before the op, but I wasnt expecting it to. » » from my FUE with Dr.Armani. Can’t wait to see the progress. » youve had work done. » All the best, and thanks for your comments. Awe thanks! Yeah I get that alot! I am really happy ith the results. » » is a lot thinner after 3000 grafts or more or less the same? » the op, but I wasnt expecting it to. I am surprised to hear that, it appears that you have above average donor density, I would assume 3000 grafts wouldn’t make that much of an impact, that does not bode well for those who have 5000+ fue done. I agree, that is amazing, a near complete restoration using only 3000 grafts, that is a full head of hair right there. Good wk.